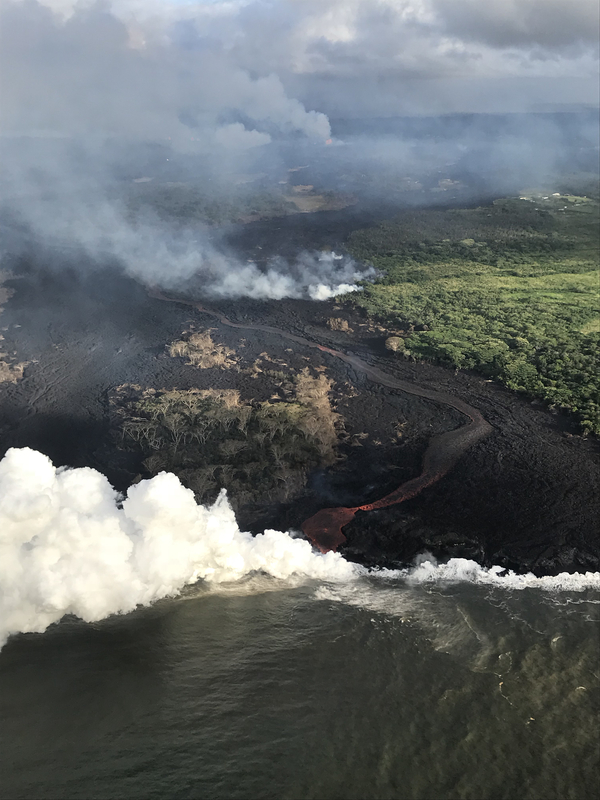 The U.S. Geological Survey released these photos from the East Rift Zone on Wednesday, May 23, 2018. 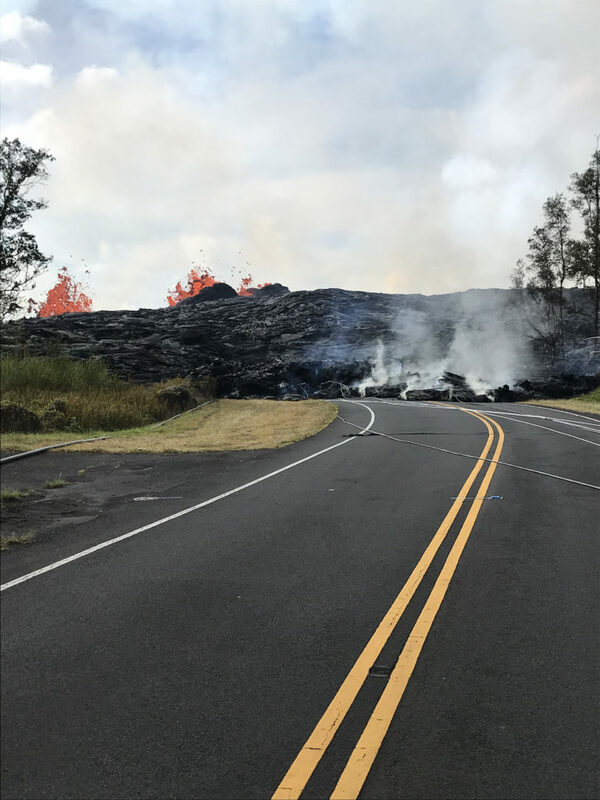 Fissure 6 builds a lava berm across Pohoiki Road. 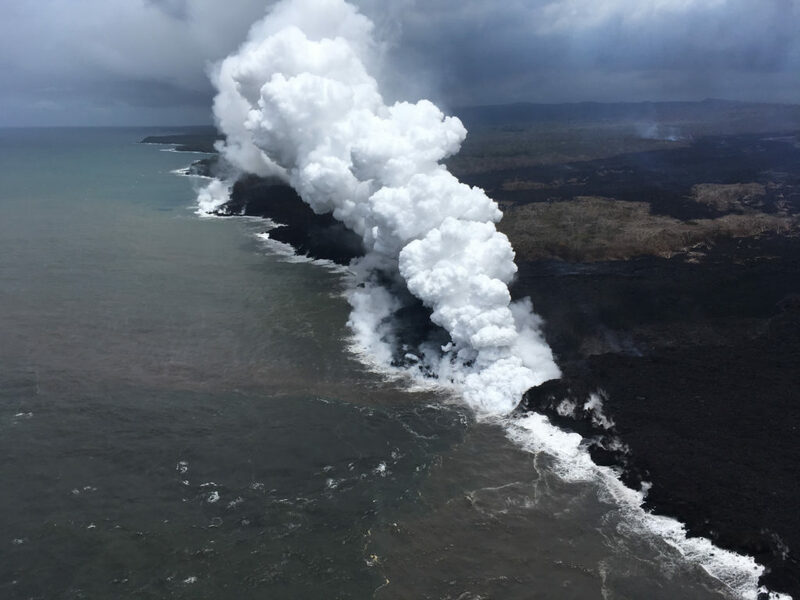 View from a helicopter of the channelized lava flow and active ocean entry. The fissure complex is visible in the upper center of the image. 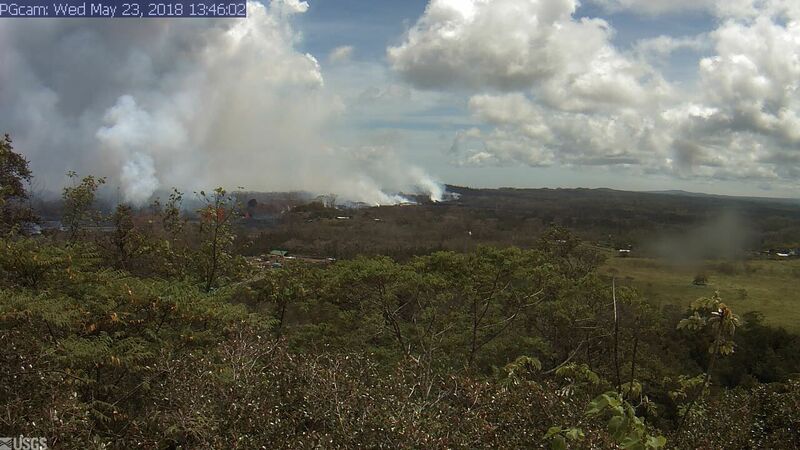 Eruption of lava and ground cracking continues in the area of Leilani Estates and Lanipuna Gardens subdivision. The middle portion of the fissure system continues to produce the most robust eruptive activity in the Lower East Rift Zone. The most active fissures have been 22,19, 6, 5 and 23. 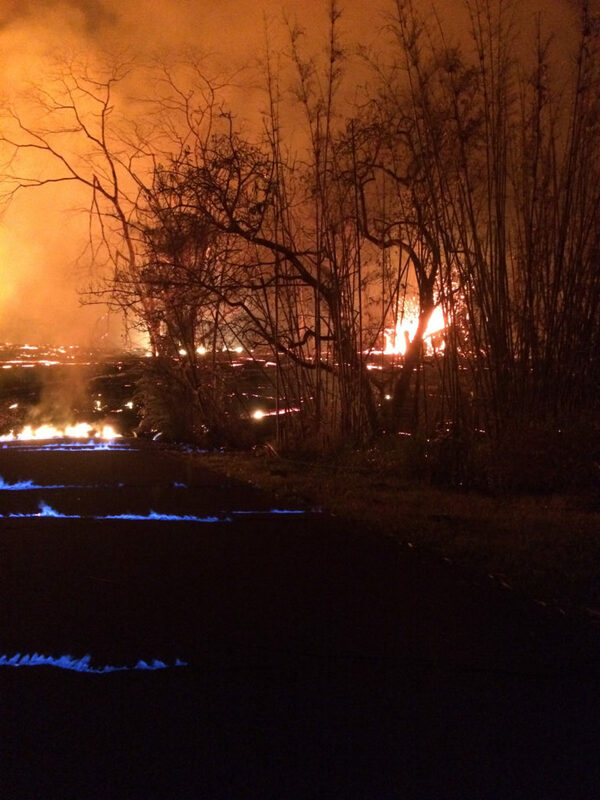 A faint glow was seen from Fissure 9, but no flows, and methane was observed burning in road cracks overnight. Panorama of Lower East Rift Zone Camera from Lower East Rift Zone [PGcam]. 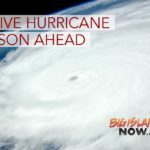 Last updated May 23, 2018, at 1:46 p.m. The ocean entry remains active and is producing occasional small explosions. 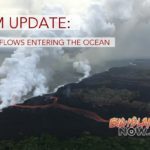 Observers noted the height of the perched lava pond channel had reached 36 feet above the ground level. 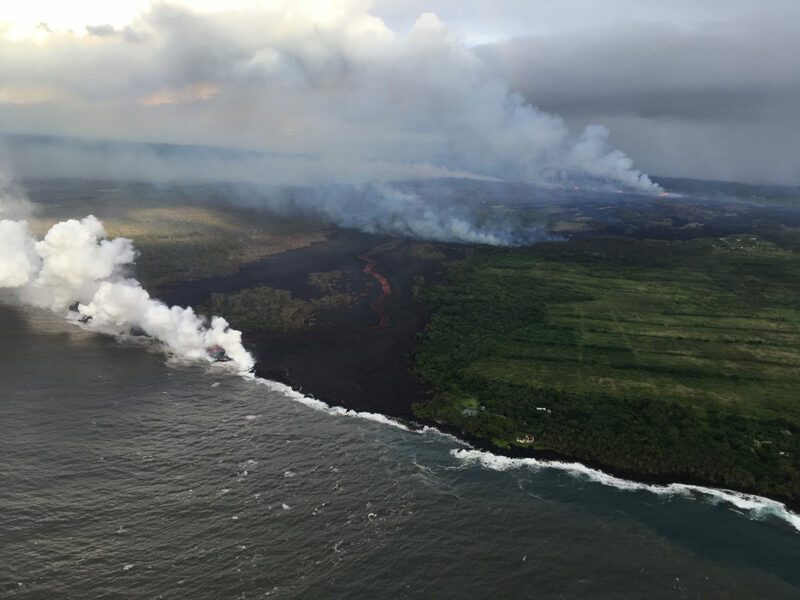 USGS reports that lava is probably still entering the ocean and volcanic gas emissions remain very high from these fissure eruptions.